Dr. Ma serves as an adjunct faculty member at Bastyr Center for Natural Health. Dr. Ma's clinical interests include gynecology and internal medicine. She has published articles about these issues in related journals. Dr. Ma has 35 years of experience in traditional Chinese medicine and acupuncture. She has been a lecturer and herbal clinic supervisor at the Northwest Institute of Acupuncture and Oriental Medicine and was deputy director of the research department at Heilongjiang University of Chinese Medicine. Dr. Ma has a master’s degree in traditional Chinese medicine & acupuncture and an MD from Heilongjiang University of Traditional Chinese Medicine in China. 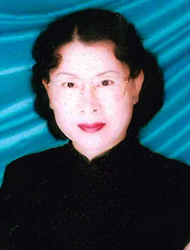 She is a member of the National Association of Teachers of Acupuncture & Oriental Medicine, the Acupuncture Association of Washington State and the Chinese National Association of Traditional Chinese Medicine. Read about Dr. Ma's unique focus on "Balancing Qi for Fertility."